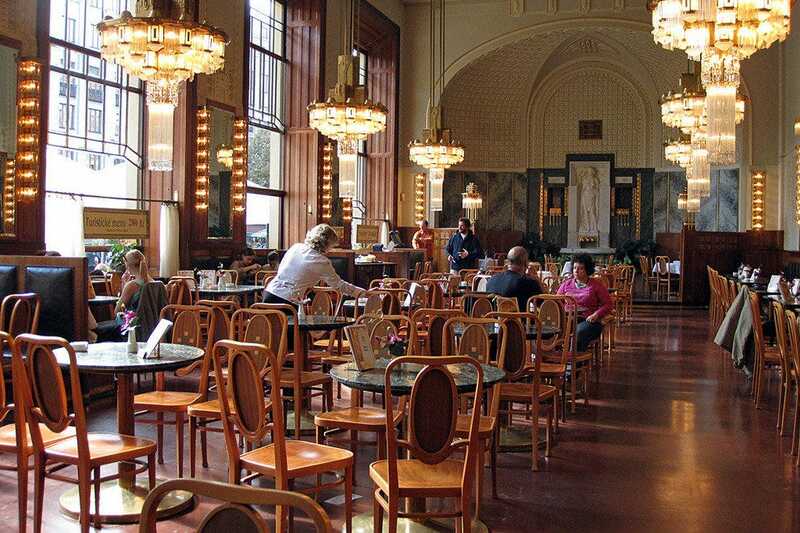 Kavarna Obecni Dum, Municipal House Caf�sparkles with early twentieth century splendor. In summer, tables spill out onto the pavement, but if you wish to appreciate the opulence of Art Nouveau interior decoration, you'd better sit inside. Choose tooth-jangling pastries from the cake trolley. Select cheesecake with strawberries, walnut cake with whipped cream, raspberry temptation or Schwarzwald cherry cake for all far too tempting. 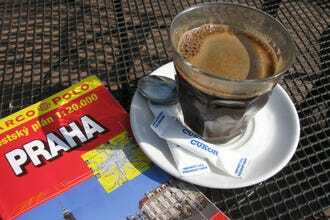 Do a bit of shopping in nearby Na Prikope street and return at lunchtime for the two-course tourist menu. 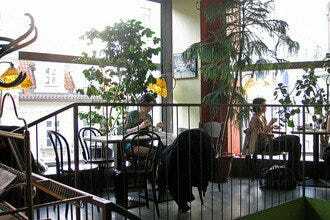 Be sure to taste palacinky, French style crepes oozing with ice-cream and mounds of fresh fruit. 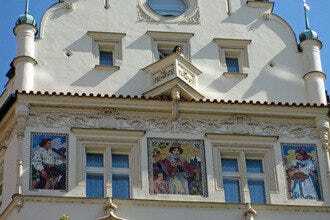 Nove Mesto's Best Coffee Shops: "Step back in time and sip your coffee in opulent Art Nouveau elegance of the caf�n Obecni Dum, the Municipal House. Be temped by hazelnut cake with whipped cream or crispy apple struddel and vanilla ice-cream." 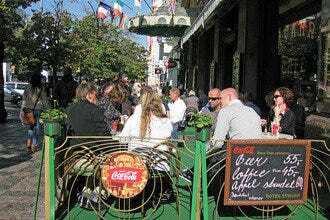 Cafés: "Step back in time and sip your coffee in opulent Art Nouveau elegance of the café in Obecni Dum, the Municipal House. 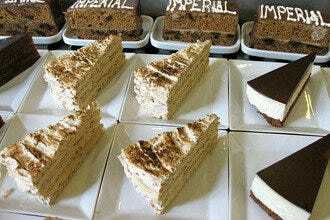 Be temped by hazelnut cake with whipped cream or crispy apple struddel and vanilla ice-cream." 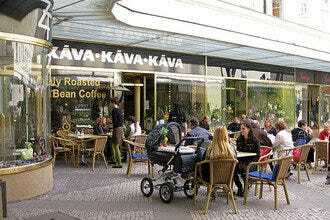 Best for Nove Mesto's Best Coffee Shops Because: The best Schwarzwald cherry cake in opulent Art Nouveau setting.